Celebrity Publicist Toni Embry, Of Glacé Entertainment Public Relations™, Is Searching For The Best Tenderloin Sandwich In Indianapolis, Indiana and wants local businesses and Hoosiers to help! INDIANAPOLIS - July 6, 2018 - PRLog -- Glace Entertainment Public Relations announced today that their Chief Celebrity Publicist Toni Embry, was on the search for the BEST tenderloin sandwich in Indianapolis, IN. and wants local restaurants and Hoosiers help! Anyone who is from Indiana and Indianapolis knows that the State and Hoosiers in general, LOVE their tenderloin sandwiches! The sandwich is unofficially the State Sandwich it is that popular. But who has the BEST tenderloin sandwich in Indianapolis? Depending on who you ask you will get several different answers! So many answers in fact, that Chief Celebrity Publicist Toni Embry decided to try as many as possible this summer and choose her favorite. Trust us when we say, this is NOT an easy task considering how many restaurants in Indy serve an amazing tenderloin sandwich. Toni and Glace Entertainment Public Relations wants the Hoosiers help in telling them which restaurants Toni should review and include in the running as Indy's Best Tenderloin Sandwich. They also want local restaurants who feature tenderloins to let them know they want to be included. Each restaurant that Toni reviews will be reviewed on her Google Local Guides Profile (currently she is a level 6 reviewer with 200,000+ views/likes), and then shared on Twitter, Facebook, and Instagram. Glace Entertainment Public Relations and Toni Embry receive 24.5 million+ likes and engagement via their social media profiles and those of the celebrity clients they represent. 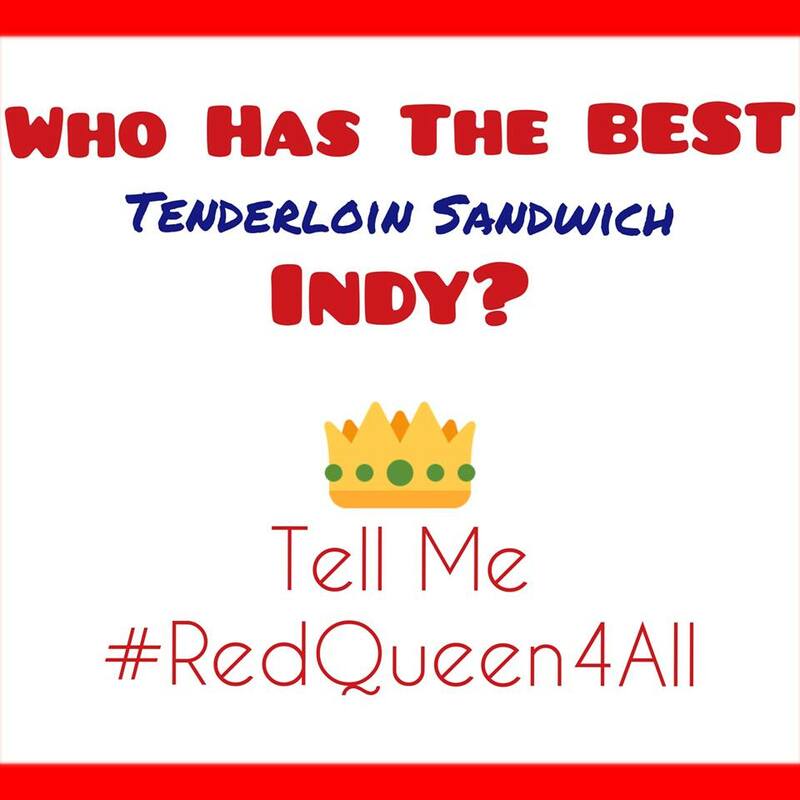 In late August, Toni will announce which 1 of the restaurants reviewed, in her opinion, had the best tenderloin sandwich in Indianapolis. She will detail her findings and why she selected the restaurant as her favorite in a blog post and a subsequent press release. THERE IS NO FEE TO BE INCLUDED IN Toni's REVIEWS AND/OR The Final Blog Post! Toni Embry first got a taste of being a publicist at age 15 when she assisted her father with the planning of Naval Air Week in Chicago, Illinois. She was assigned the responsibility of handling all facets and needs of the celebrity attendees. She knew from that moment on she would become a publicist concentrating on the entertainment industry. After graduating college, Toni decided she did not want to work for anyone (a company); she wanted to work for herself. Toni very quickly and systematically started obtaining actors, recording artists, and models as clients. Her passion for their craft and careers was evident by her long work hours and persistence to get them maximum exposure. Toni is also highly respected as being a very confidential publicist. With her career in high-gear, Toni decided that she wanted to expand her coverage area outside of her New York City office. In 2006 she formed Glacé Entertainment Public Relations™ where she has served as chief publicist for many years. Glacé Entertainment Public Relations™ is a network of independent publicists all working together for the benefit of their clients. The boutique pr firm now has offices in N.Y.C., Chicago, L.A., Atlanta, Miami, and recently opened an office in London. Toni, along with Glacé Entertainment Public Relations™ , represents some of today's hottest talent in all facets of the entertainment sector. Celebrity models, actors, and recording artists, all call Glacé Entertainment Public Relations™ home.